Cooling your wine in a regular fridge can be a hassle. If you are an avid wine drinker, you might want to invest in a machine that you can use to properly store your wine and also keep it cool. 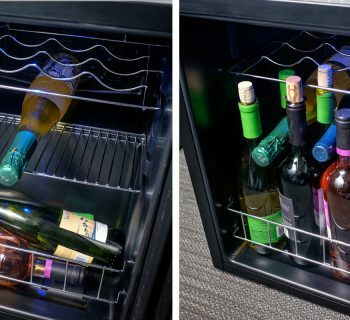 Wine coolers are really helpful when it comes to wine storage. They allow a small, convenient space where you a place your bottles. 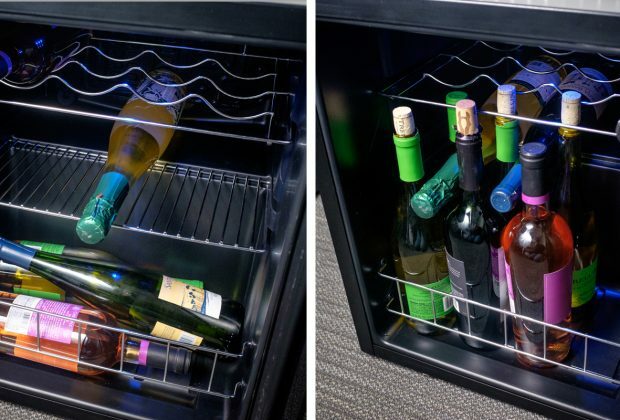 Wine fridges help keep your wine cold and your bottles safe. 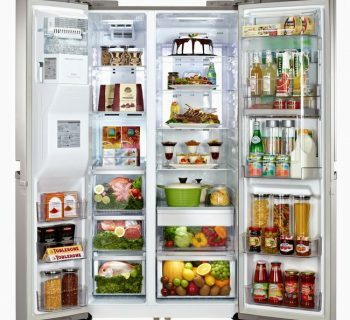 With a wine fridge, you don’t have to worry about the space your wine bottles can take in your regular fridge. 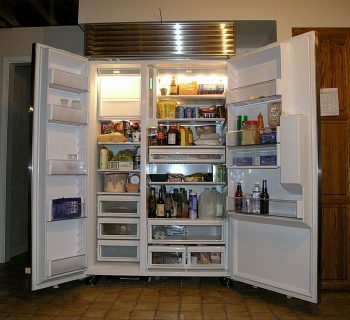 Here is a list of the Top 5 wine coolers or fridges on the market. 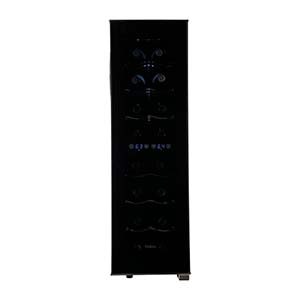 The Danby DWC032A2BDB Wine Cooler is a great appliance for your wine cooling needs. 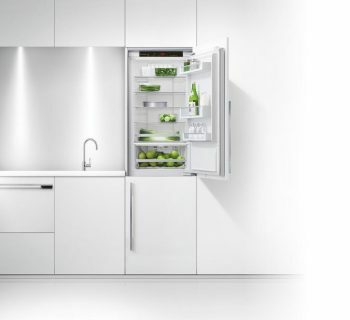 This model has a high gloss door frame with full smoked glass, giving the cooler a great modern look. 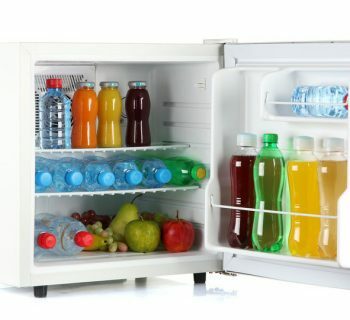 The inside of the cooler is fitted with coated black wire shelves that can be adjusted to fit different sizes of bottles. The cooler has a seamless full length door handle in addition to a reversible door that allows you to change the way the door swings open. The also has some energy saving features. The interior lights of the cooler are blue LED lights, making the machine’s interior lighting energy efficient. 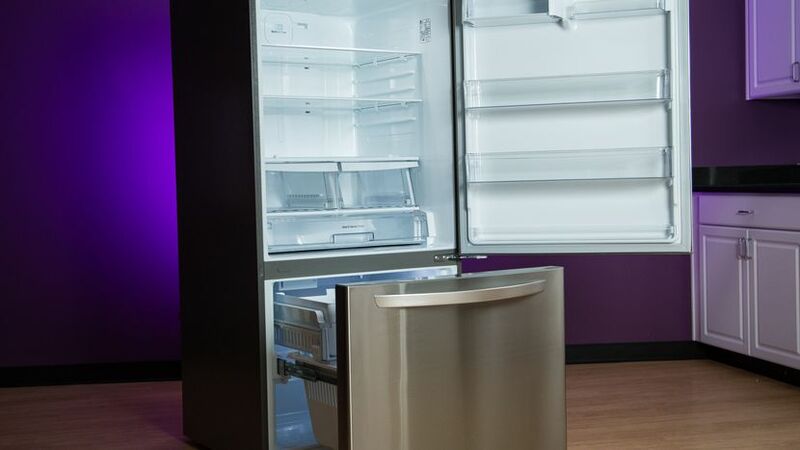 The Avanti EWC1201 wine cooler is a small, affordable wine fridge. For those of you not looking for anything too big, this model is perfect. 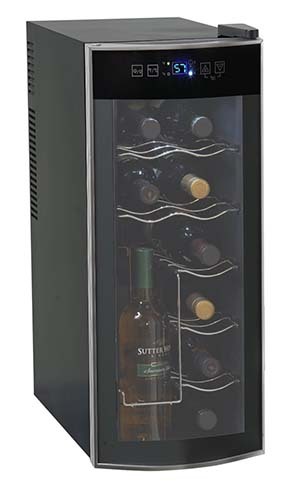 The Avanti EWC1201 carries up to 12 full-sized wine bottles. 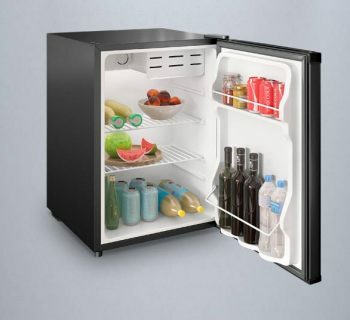 It has an innovative, unique design that allows it to store bottles both standing and vertical. 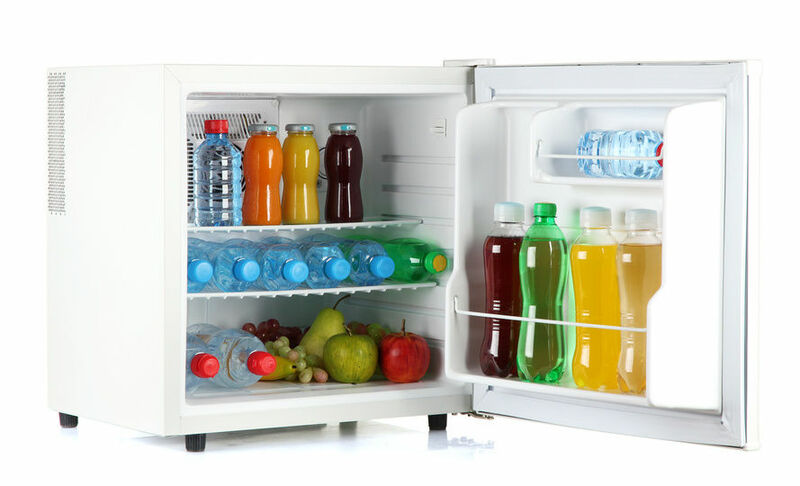 It can store up to 4 open bottles standing to avoid spillage. This model sports a no vibration feature. This feature keeps the machine from vibrating too much, thus keeping bottle sediment undisturbed. The Avanti EWC1201 has a curved glass door, giving it a stylish, new look. Lastly, the inside of the cooler is a classic black cabinet with platinum finished accents that go well with any design. 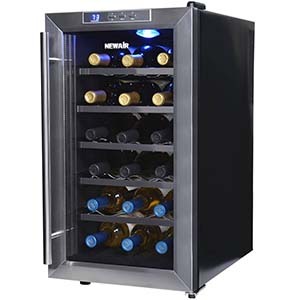 The NewAir AW-181E wine cooler is an energy saving thermoelectric wine cooler. This model has 3 size choices: 12 bottles, 18 bottles, or 28 bottles. So, you can pick the size that’s most convenient for you. This cooler has a compressor-free cooling system that works quietly, making no uncomfortable noise in your space. The NewAir AW-181E cooler also has a digital thermostat that helps cool your wine perfectly. Its temperature ranges from 54 to 66 degrees Fahrenheit. The design has a double-paned glass door for additional insulation, keeping your wine cold at all times. Finally, the machine’s interior has LED lights that give it a nice, attractive look. The Koldfront wine cooler is a thermoelectric cooler. This cooler has a dual zone interior. Dual zone wine coolers are designed to provide two separate spaces within the same cooler that can be set to different temperatures. The cooler comes with an easy to use control panel. The panel has an LCD temperature display that shows you temperature display for both zones and allows you to set each one separately. The two zones have temperature ranges of 46 to 66 degrees Fahrenheit. 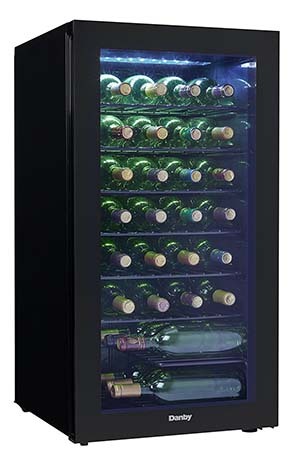 The Koldfront wine cooler has a free-standing installation design with a tempered glass door and removable shelves. The door has a safety lock to keep anyone from getting into your cooler. The Haier HVTEC16DABS wine cooler is one of the best rated coolers out there. This model comes in sizes that vary from 6 to 18 bottles. The Haier HVTEC16DABS comes with vibration free features, making this model ultra quiet. The Hair wine coolers also use thermoelectric cooling to keep your wine cool. The model’s design is modern and simple-looking. It has a curved, double pane insulated, smoked glass door with black trim. This model has dual touch screen controls with 2 LED displays, allowing you to adjust its dual zones separately. Its temperature ranges from 46 to 54 degrees Fahrenheit. This model is perfect for red or white wines. 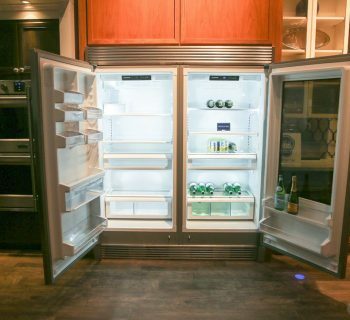 When choosing a wine cooler or fridge there are a few things you need to look out for. First, put in mind the size of your appliance. If you know that you will be purchasing lots of wine that will need lots of space, go for a bigger design. But, if you’re going for a smaller wine collection, opt for a smaller model so as to avoid taking up excess space and spending too much on a large model. Next, consider the machines features and quality. You want shelves and gliders that will hold a large amount of weight without falling apart. 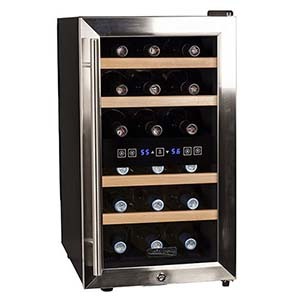 You also want a wine cooler that will store your wine at the proper temperature and humidity. Finally, be careful of your machine’s price. Wine coolers don't come cheap, so you should always compare prices and shipping charges before you buy a wine cooler to ensure your complete satisfaction.